Clean 11 x 15 print from a 1989 card show. 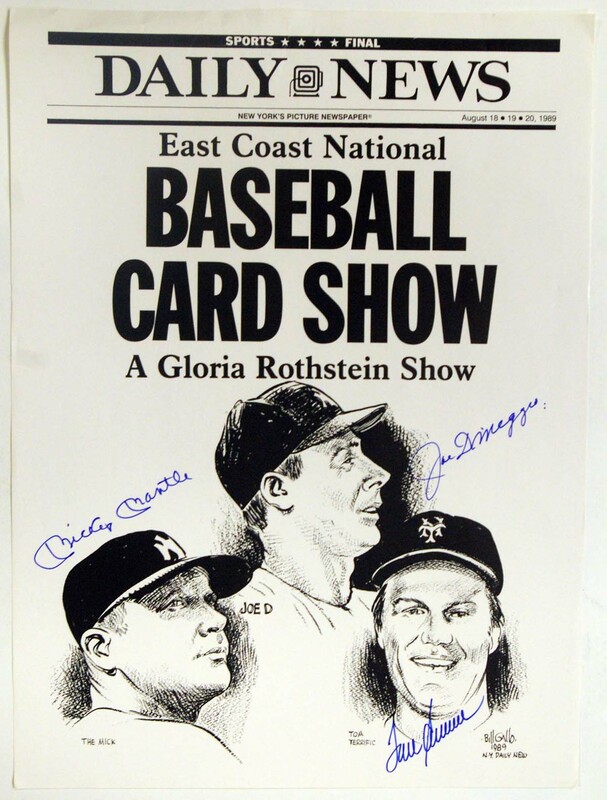 Nicely done, this is signed in flawless blue sharpie by vital HOFers Joe DiMaggio, Mickey Mantle and Tom Seaver. JSA LOA.